A CARE WORKER who stole over €57,000 from ATMs across Dublin to pay for her father’s kidney transplant has received a three-year sentence with 15 months suspended. 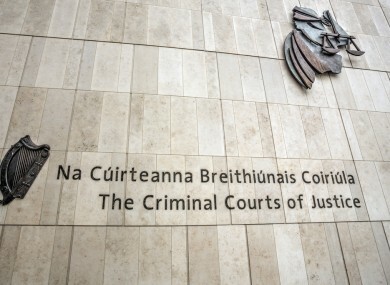 Titilayo Kilanko (38) with an address at Carrigmore Lawn, Citywest, Dublin pleaded guilty at Dublin Circuit Criminal Court to ten counts of theft from Ulster Bank on 22 June 2012. Kilanko, who has no previous convictions, told gardaí she used the money to pay for her father’s transplant in Nigeria. Judge Martin Nolan noted that Kilanko had exploited a glitch in Ulster Bank’s system and said he accepted her explanation for taking the money from receipts and medical records handed to him in court. I’m very sorry to have to do this to her as she seems like a decent person, but on the date in question she stole repeatedly from the bank and that cannot be condoned. Kilanko admitted stealing a total of €57,708 by making 115 fraudulent withdrawals from ATMs in Dun Laoghaire, Lower Kilmacud Road, Stillorgan, Main Street, Blackrock and at the Beacon Centre in Sandyford, County Dublin. The mother-of-two was arrested a month after the thefts when an Ulster Bank official alerted gardaí to fraudulent transactions on her account. Detective Garda Keith Gorman told Caroline Cummings BL, prosecuting, that the withdrawals had all been carried out between midday and 9.30pm. Det Gda Gorman said it had been “well-publicised” by the bank that there was a software issue on the day, although it was not specified that money could be withdrawn even when there was none in an account. “News travelled very fast,” he said, adding that Ulster Bank had since issued criminal prosecutions for several people who made fraudulent withdrawals on the day and failed to pay back the money. Kilanko told gardaí she used the money to pay a man to donate a kidney to her father. She took a flight to Nigeria with the cash and converted it to the local naira currency in a money exchange business there. She said her father, who has since died, was being treated at University College Hospital in Ibadan, Nigeria where he owed €80,000 for treatment and dialysis. The woman said it was difficult to source kidney donors in Nigeria, but that her sister had found a man willing to donate for €25,000. Her Ulster Bank account was left withdrawn to the tune of over €57,000. Previously, Feargal Kavanagh SC, defending, said his client “greatly regrets” giving into the temptation of getting money without an overdraft. “She took it for good reason. She tried to alleviate an emotional, financial and medical situation back at home,” he said. Mr Kavanagh said Kilanko made full admissions and cooperated fully with gardaí and with the debt collection agency. Mr Kavanagh said that with her family’s assistance, Kilanko remained anxious to clear her debt. Email “Woman jailed for stealing €57,000 to pay for her father's kidney transplant”. Feedback on “Woman jailed for stealing €57,000 to pay for her father's kidney transplant”.